Blog > Marketing > What Types of Backlinks Are The Most Powerful for SEO? All links are not created equal. There are a wide range of factors that influence the value of a link, some positively, some negatively. 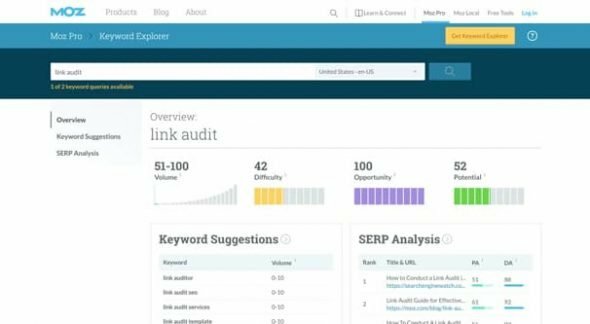 If you want to make your link building campaigns pull the greatest weight, you need to strive to get the best links possible. The question is, what are those links? Like most questions in SEO, there’s no defined answer. I can’t tell you that “a link from X website” is going to be the most powerful possible link, because no such website exists. The power of a link is largely relative, and what might be powerful for you won’t be strong for another business in a different niche. Instead of telling you what links are the best, I’m going to go through the various factors that impact the power of a link. Then I’ll give you a few examples of links and how they might be powerful for a given site. What Affects the Power of Links? In no particular order, here are elements that can increase or decrease the power of a link. Whether or not the link is indexed. This is a pretty simple one. If the link is indexed in Google’s search, Google is aware of it and can assign a value to the link. That value might be positive or it might be negative, but it’s there and it matters. 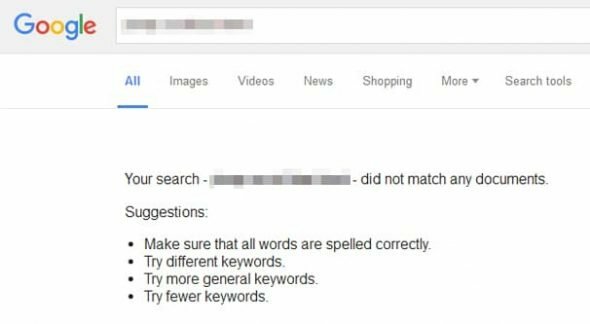 If the link is not indexed, that means Google isn’t aware of it – or it’s on a noindexed page – and thus it might as well not exist. Whether or not the link is Followed. The follow/nofollow attribute of a link is very important. It’s similar to the above in that if the link is nofollowed, it might as well not exist, except with one key difference. 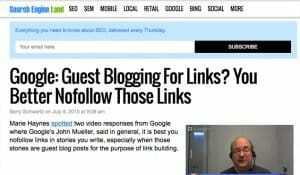 A nofollowed link still exists, Google still knows about it, and it can still influence elements like whether or not your link profile looks natural. More on that later. Followed links are better, of course. Nofollowed links don’t pass link juice, and thus don’t influence SEO, but they CAN influence organic elements of user experience, and some elements can become secondary metrics that Google does care about. The position of the link on the page. This is one people often overlook. Usually when we talk about links, we’re generally referring to links in the content of a blog post. Other positions, like blog comments, footers, sidebars, or navigation links are going to be naturally less valuable. This is particularly due to how these locations were abused in the past and how they can be abused today. For example, a link in a sidebar is a link that appears on every page of a site. Since it’s the same link, it basically just counts as one link, one recommendation, rather than 1x the number of pages on the site. Otherwise massively huge sites would have a ton more link power than others. They still do, but for other reasons. You can’t just create a website and spam up 10,000 pages and have an SEO powerhouse on your hands. How many other links are on the page. This is a fairly soft metric, and it’s fuzzy in how it’s calculated. Essentially, a page has X amount of value, and that value is divided amongst all outgoing links. Internal links get very little of the value, so it’s mostly split amongst external links. Nofollowed or Noindexed links are removed from the calculation entirely, sort of. It’s complicated, don’t worry too much about it. Basically, the more links there are on the page, the less valuable each link is going to be. Google discounts some kinds of links from that calculation, like footer and navigation links, but content links, profile links, and other sorts of links all count. You can just consider that the more links a page has, the less valuable each link is. It’s a way to minimize useless “top list” sites and other such link aggregators that don’t provide their own value. The Power Metrics for the link. There are a bunch of specific power metrics you can use to measure the value of a link. None of these are official. They’re basically aggregations and estimates based on the data we can observe. However, they’re pretty accurate in their own way, so they’re worth looking at. Moz Ranks. 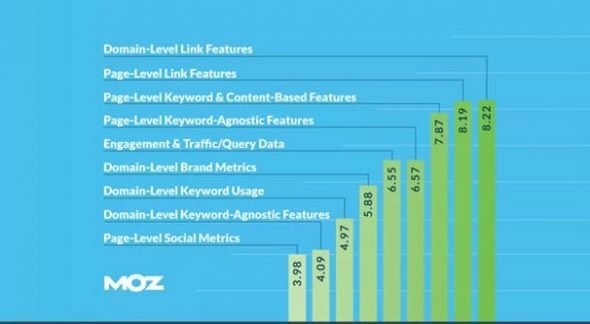 Moz has several metrics that are all closely related. Domain Authority and Page Authority are the main metrics you’d be concerned with. They’re basically a measurement of the relative power of a website, on a logarithmic scale from 1 to 100. You can read all about those metrics here. You can measure them with Moz’s various tools. Majestic Ranks. Majestic is a huge link analyzer with a massive index of their own, perhaps even rivaling Google’s. Among other things, they provide Trust Flow and Citation Flow. The so-called Flow Metrics are their own versions of Moz ranks, with a different focus, but still emphasizing the relative value of a site. You can read more about them here. Like with Moz, Majestic provides tools you can use to check these metrics. PageRank (deprecated). PageRank was Google’s own 1-10 scale for the value of a site. It was the go-to metric for link research and prospecting. Because of the reliance on the metric, Google decided to stop updating public PageRank. As such, modern PageRank measurements are not accurate. Formerly good sites have gone bad, formerly bad sites have grown good, and many modern sites have no public PageRank listed at all. Anyone who promises to get you “high PR links” or anything else has failed to update their knowledge in at least five years, and you should look elsewhere. Other analytics suites may have their own metrics. These are often distilled from either the metrics above, or from a selection of the same factors. Between the two M-sites, you can get a pretty good idea of what’s what. The spam score for the page. This is a shortcut way to say if the page looks like spam, the value of its links will drop. There are a ton of different hints that a site might be spam. Thin content, stolen content, copied or duplicate content, lack of branding, tons of disconnected and spammy posts on various subjects, no-name authors, and on and on. The spammier a site is, the more likely Google is going to be to brand it a spam site and make its links irrelevant. It’s worth noting that some people have attempted to weaponize this concept. Negative SEO attacks can be effective in some circumstances. They’re a lot easier for you to deal with than they are to set up, though, and Google is smart enough that 90% of such an attack is going to be meaningless. In the case of a spam site linking to another site, usually those links are just devalued and treated as though they don’t exist. It’s only in rare circumstances that the links will be given negative value, such that they hurt the site on the other end of the link. 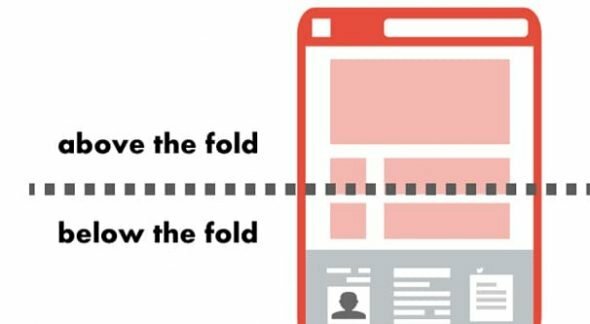 How relevant the linking site is to your site. Relevance is huge in modern link analysis. Let’s say you run a site about plumbing tips. If another site about plumbing links to you, that’s a highly relevant link. If a site about home improvement in general links to you, that’s fairly relevant and still a pretty good link. If a site about book restoration links to you, that’s not very relevant, and probably won’t be worth all that much. The more relevant a site is, the better the link will be. That’s not to say a link from an absolute powerhouse of a site, like Forbes, won’t be good. Huge sites kind of skirt a lot of these rules in that even a bad link from them is still strong. How relevant the linking page is to your page. This is not the same as the above; it’s about the relevance of the specific pages. If your site about plumbing has a page about installing sinks, and it’s linked to from a site about a full DIY kitchen remodel, that’s a good relevant link. If the page is linked to from a DIY landscaping page, it’s probably not as relevant. If it’s linked to from a page about LEGO construction, it’s definitely not relevant. A note about special domains. There are long-standing rumors that links from .edu, .gov, and other authoritative domains are somehow inherently better as links than links from other sources. Link sellers latch onto this and use it as a selling point as they try to build you .edu links or whatever. The fact is, the TLD on its own only has a minor impact on links. There are spammy TLDs, like .info, .biz, and others. Google is going to give these a very close look, because it’s rare that a site using one of those TLDs is going to have actually worthwhile content on it. They’re used for spam because they’re incredibly cheap compared to a .com. There are also generally good TLDs. The stereotypical .gov and .edu are good, but it’s because they’re restricted TLDs. You can’t just go and register a .gov page, you need to be an official entity representing the government. As such, those sites are inherently more trustworthy and are thus assigned a certain minimum value. All of the other factors still apply. 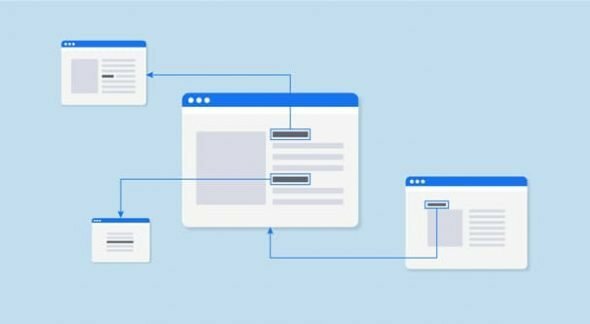 What Kinds of Links Exist? All of the above has to do with elements explicit to links, but one of those elements is the placement of a link. So what placements are there, and which are best? Directory links. These are links that come from directory sites. Think of a phone book. How valuable is placement in a phone book? Compared to any other entry in the phone book, not much. If someone is purely looking for your phone number, it’s useful to be found, but there are better ways these days to find someone’s number. A phone book entry is not a vote of confidence, it’s not a powerful listing, it just exists. Structural links. I mentioned these above. They’re the links in navigation, in sidebars, and in footers. Structural links are not very valuable for all the reasons I talked about before. Basically, they’re just there, not providing much value in context. Editorial links. These are links in content itself. These are the best links to get, because they show the author is recommending your site for some reason. As long as the context of the link and all of the other factors coincide, this is the best place to get a link. 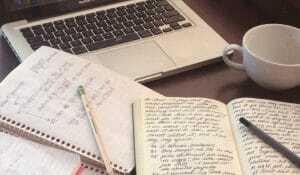 Comment links. Blog comment links can be valuable if they’re in context and they’re extremely relevant. However, as user-submitted content, they’re also incredibly vulnerable to spam, which is why you see so many spam comments on blogs. 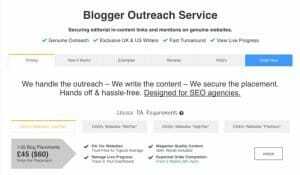 Blog comment links then are not all that valuable on average. Forum links. Form links are even worse than comment links, because forums are rarely good these days. Most forums have died down in favor of social media. Those forums that still exist are often either heavily spammed or are abandoned, and thus don’t provide much if any value. Guest post links. 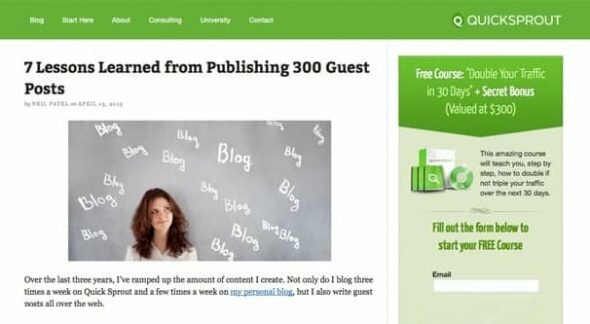 Guest post links can be valuable for a number of reasons. They’re basically editorial links, with some fringe benefits. Since it’s content you control, you have a guarantee of a higher degree of relevance than other editorial links. On the other hand, Google assigns slightly less value when you’re basically just linking to yourself. It’s a wash, really, so guest post links are quite good. User profile links. This is almost the same as guest post links these days, simply because so many guest post blogs only allow links in the bio instead of in the content. A bio link can be decent, but it’s closer to a structural link than it is to an editorial link. Social media links. Social media links are usually nofollowed, or at least treated in their own different way, to prevent spammers from taking over those sites in an attempt to game the search algorithm. 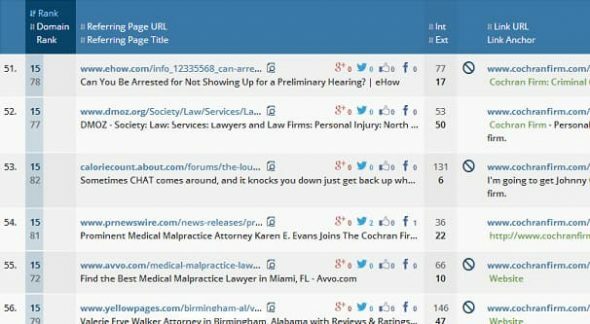 Social links have tons of value, but it’s not inherent in the SEO juice; it comes from user engagement, influencer marketing, and other such techniques. What Links Should You Build? Any link you can. Google puts a lot of emphasis on a diverse and natural link profile. 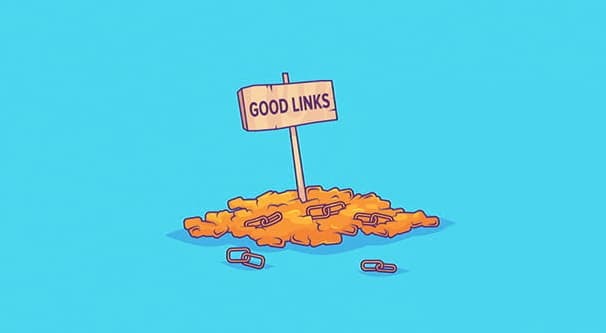 If you’re focusing too much on specific kinds of links, you’ll look like you don’t have a natural profile, and that can come back to bite you. Build any link that’s not a spam link, and rest assured that even a small amount of value is better than nothing.